I never heard such good news mixed with bad with the announcement that Elenin is breaking apart. Someone said that as if we should all have a party and spit on the Elenin alarmists. But this same person goes on to say in the same breath that the crust of the earth is getting ready to separate from the core. So much for doomsday from Elenin? Actually I will wait a few weeks more before I celebrate.John Smith wrote, “The Blue Kachina (Hopi Indian star name) aka Comet Elenin is coming closer and is currently just below our ecliptic or orbital plane around the sun, hence is only easily visible from the South Pole or at least way south of the equator. On 9/11 aka 11th September 2011 it will transit or cross the ecliptic to be level with us and between us and the sun. This is the beginning of the “Electro kill zone” where various cosmological forces will be at work: gravity, solar coronal radiation and good old fashion heat. The comet is expanding rapidly and its tail or coma is now massive and still expanding whilst releasing vast clouds of hydro-cyanide gas (lethal). It could disintegrate and blow up into many pieces under these conditions. Disturbances in our solar system with storms on Jupiter increasing. They forgot to mention some really weird sounds being heard in Canada and in Russia! 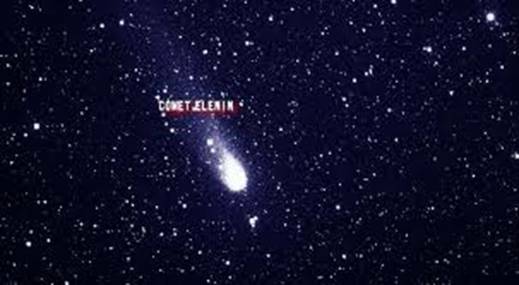 Is Comet Elenin the feared Blue Star Kachina of Hopi Prophecy, Planet X, or a dwarf sun? “Speculation and analyses are rife. To date, approximately 1.5 million web pages are devoted to these concerns, and many with fearsome interest. But is this fear in any way justified? Perhaps yes, perhaps not!” writes one blogger. But whatever Elenin is even the blind can see the earth changes shaking our planet and our civilization. Everywhere we read, even in the mainstream—the handwriting is on the wall. We know that the insurance companies are in trouble financially with the huge claims from all the recent and worsening natural disasters. Even the huge storms, such as the recent hurricane, which wimped out in the wind category, still brought enormous damage and consequence. The first hurricane of the season turned placid little mountain streams into roaring brown torrents that smashed buildings, ripped homes from their foundations and washed out roads all across several states. 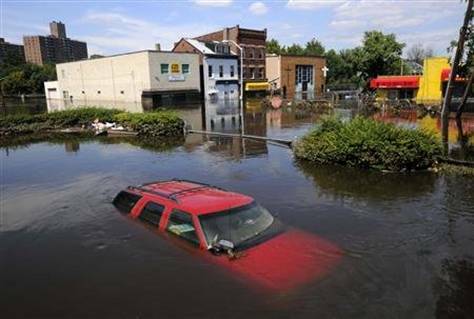 About a dozen towns were cut off by damage from Hurricane Irene’s floodwaters and rain. Irene will most likely prove to be one of the ten costliest catastrophes in the nation’s history with most of that damage done by the flooding, not by the wind. “It’s going to take time to recover from a storm of this magnitude,” President Barack Obama warned. 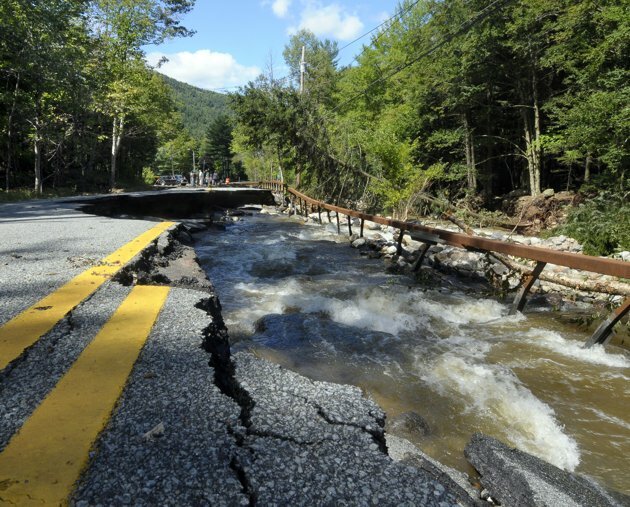 Early estimates put Irene’s damage at $7 to $10 billion. But oh no, the government does not have the money to pay with less than $800 million in its disaster aid coffers. The government’s main disaster aid account is running out of money. The shortfalls in FEMA’s disaster aid account have been known for months but the White House has opted against asking for more money. Now that many people need the aid, local authorities have to deal with a federal government that is on the verge of bankruptcy. Yes the handwriting—it has a universal quality to it that translates into losses. Millions upon millions of people around the world are losing everything in the floods. Millions are losing their peace of mind, seeing and experiencing the financial and economic disruptions; millions more are suffering from new levels of violence that are exploding, especially across the Middle East, with the worst being centered in Syria where the government has literally gone to war against its own people. Oh So You Don’t Live Near the Gulf of Mexico? Well if you think you are going to get off lightly you’re out of your mind! Civilization and many of our lives are going to go down hard comet or no comet. The below video with Dutch is one of the knockout blows and it will burn itself into the cells of billions of souls. Dutch is driving through Canada. He has been out front in reporting on the radiation disaster as well as the increasing earthquakes. In this video he wipes the windshield of falling rain and even he is taken aback with the very high and dangerous amount of radiation that is falling. There are a lot of people with their heads stuck in the sand and you can hardly blame them. Each of us will meet destiny in our own way but our governments will step in and make it all worse. But please at least let’s take care of ourselves with survival foods and medicines that are effective against the radiation. Medicinals that will blow back hard against the Radioactive Wind. And see my book Nuclear Toxicity Syndrome, which is about the dangers and what to do about them. And while this is all going on, Pinocchio’s nose is getting longer and longer. As things get worse, the lies get bigger and more separated from reality. 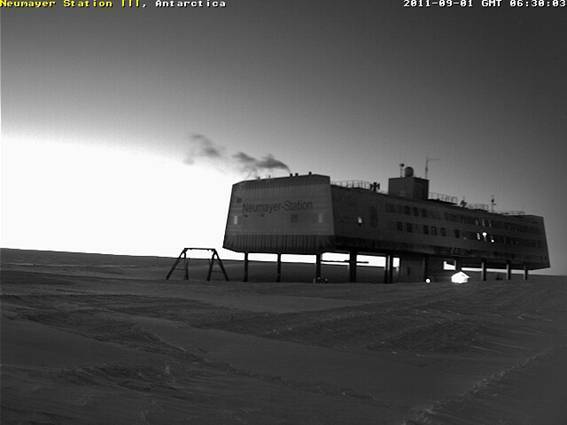 And what about reality this morning on the Antarctic Circle? This huge solar type disk that started coming up at five this morning does not give off light in the regular electromagnetic spectrum. It is not until 6:40 that we get the first rays of light from our sun and from that point the lighting changes considerably. Go see yourself if you have eyes to see. The video cameras are functioning but is anyone paying attention to what is coming up from the south? Really who cares about little comets with something this enormous in our neighborhood? But let’s not quite count Elenin out as a harbinger and let’s see what she will do as she swings around the sun and heads in our direction. The point of this essay is: Do you have eyes to see and a mind and heart that are able to deal and respond to reality as it presents itself to us? I am not talking about other people’s thoughts and their interpretations of reality but about our own inner feelings and intuitive perceptions.